I really enjoyed Dusk by Eve Edwards. It is the first in a two part series. It takes place during the First World War and follows our two main characters, Helen and Sebastian, from 1914 to 1916. Written in a non-linear fashion, we are immersed in horrific battlefield scenes and the grim reality of nursing near the front line. Helen is a young, independent girl who doesn’t really believe in her own strength, courage and beauty because of her abusive father. Sebastian is the charming, dashing young artist who falls for her. The time they have together is short before they are ripped apart by fate. While the non-linear narrative might not appeal to everyone, I thought it was fantastic as it showed a contrast between ‘then’ and ‘now.’ It aided in showing how quickly times changed. Though Helen and Sebastian’s first meeting is somewhat awkward, their second meeting is the start of a beautiful relationship. Helen was a great character; she was down-to-earth, level-headed and a hard worker. Sebastian loves art, but when his brother is killed in the war, it is the catalyst that makes him sign up. Interspersed with scenes of Helen attending to patients with ghastly injuries and Sebastian advancing the line excruciatingly slowly and with heavy losses, are flashbacks to how their relationship developed. As the story continues, there is increasingly more about social classes and family heritage; it is not just the physical distance that separates Helen from Sebastian. Furthermore, I enjoyed reading Helen’s sister’s story. Flora is a young, confident and beautiful girl, but when she falls in love with an officer from the navy, events quickly take a turn for the worse. 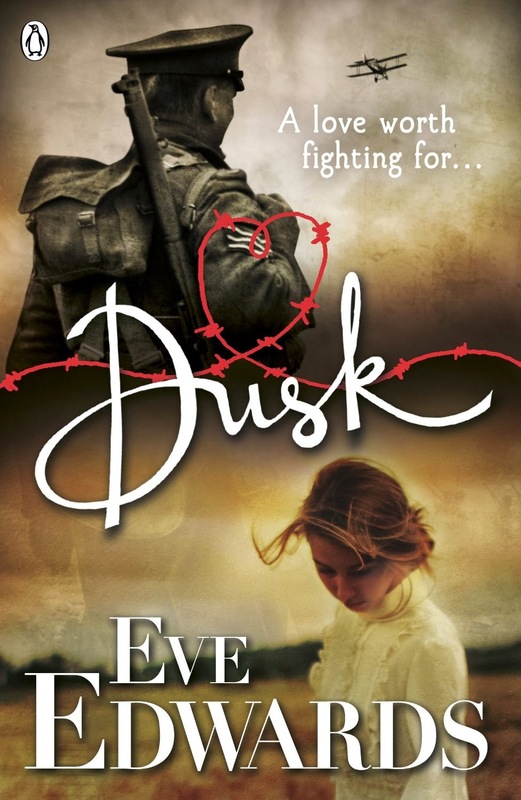 Dusk was a well-researched, well-written historical book. It presented what was happening in the trenches during the War realistically; futile, grim and desperate. I liked Helen and Sebastian. I would have liked to have seen more of the development of their relationship. Other than that, Dusk was a wonderful story and I look forward to reading the sequel, Dawn. Wonderful review! Thank you so much, Kulsuma!